TORONTO, ON, March 18, 2019 – Pizza Pizza just dropped the ultimate food mash-up, with the Spicy Tex-Mex Pizza, the perfect blend of tacos and pizza, to be accompanied with a unique new appetizer Avocado Fries. Pizza Pizza’s hottest new menu items are available across the country. 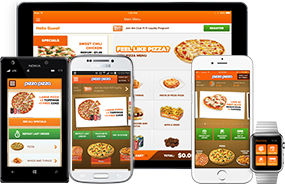 “Pizza Pizza is on the pulse of trends and innovations in the food industry. We have seen the love for avocado and tex-mex recipes grow over the past couple of years, especially amongst the millennial demographic. Our newest menu items bring together these food favourites so consumers no longer have to choose between ordering Mexican or Pizza” said Alyssa Huggins, VP Marketing, Pizza Pizza. The gourmet Spicy Tex-Mex Pizza, is a combination of indulgent Mexican flavours, topped with ground beef, roasted red peppers, jalapenos, cilantro, tex-mex seasoning, red onions and finished with a four-cheese blend. That’s not all! For a limited time only, Pizza Pizza has introduced a drool-worthy new menu item – Avocado Fries. Deep fried, perfectly ripe avocado pieces coated with a delicious breading, this new menu item puts regular fries to shame. Come try the hottest pizza in town and be part of the conversation on social media. Tag @PizzaPizzaLtd on Twitter and Instagram and @PizzaPizzaCanada on Facebook. 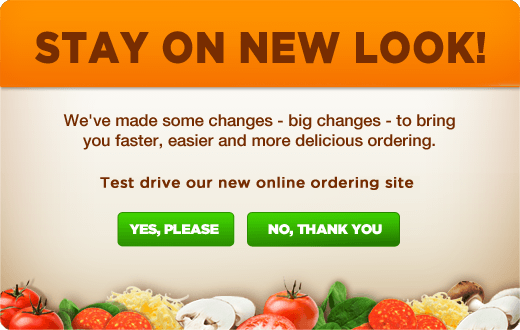 You can call or order online.